Attire yourself with the cognitive in style Yukio Coat that is precisely replicated in the same fashion as shown in the latest thriller movie Deadpool 2. It is uniquely made with quality intrigued designing and meticulous fabrication that rightly speaks volume for its cognate artistry. The attire is diligently tailored made from the sheepskin leather material and unified with the inside viscose lining for supple wearing sensation. 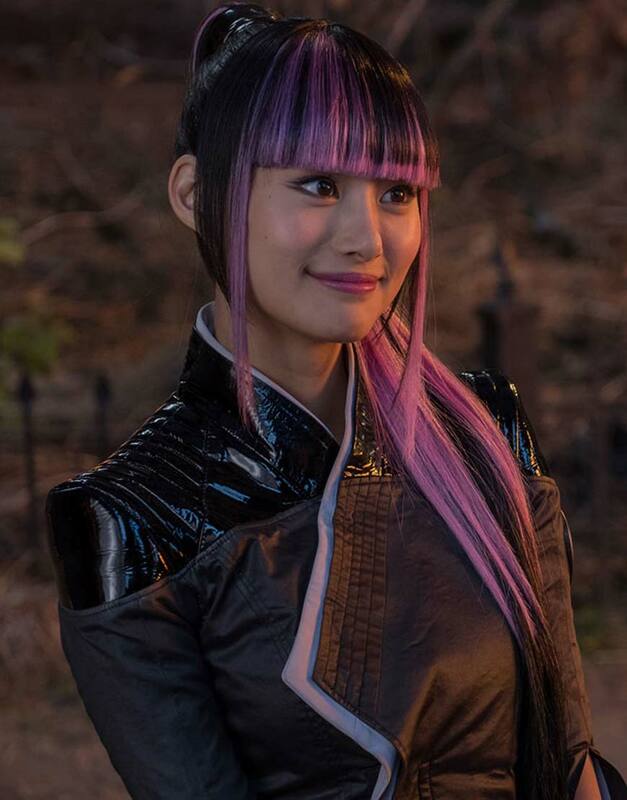 This Deadpool 2 Yukio Black Coat has been made with the trendy shirt style collar on its top, and has been amalgamated with overlap magic fixes with YKK zipper closure on front for emulating exquisite shrewd outlooks. Creative piece of bold craftsmanship The quality sheepskin leather crafting of this apparel is what i liked the most in this apparel, as it gives unique compact outlooks to the apparel and makes it look very glitzy among others. Also the pricing is very cheap in contrast to other same apparels in the market. As an overall, its a one fine crafty piece of outwear that has been tailored with picture perfection.